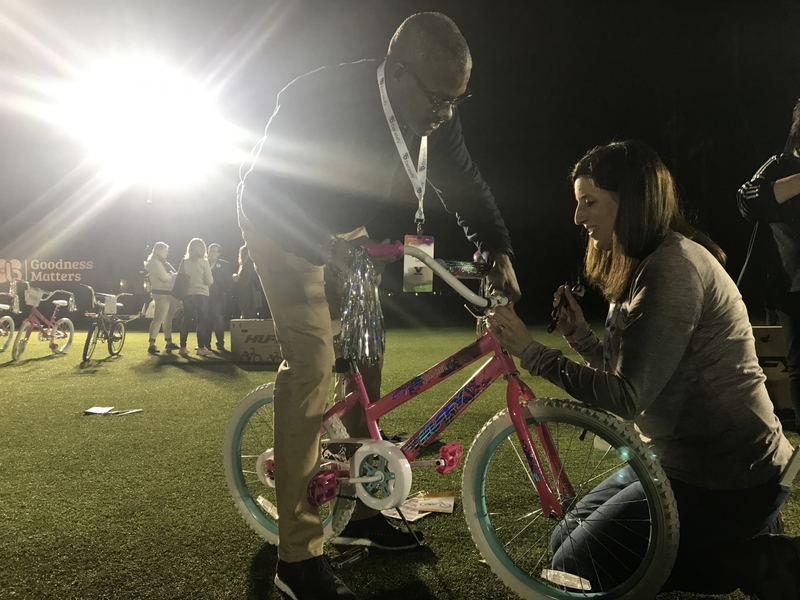 PALM SPRINGS, Calif., February 27, 2019 /3BL Media/ – Nearly 200 corporate citizenship leaders from 110 enterprise companies participated in a volunteer bike build benefiting 120 children in foster care in the Palm Springs area last evening. 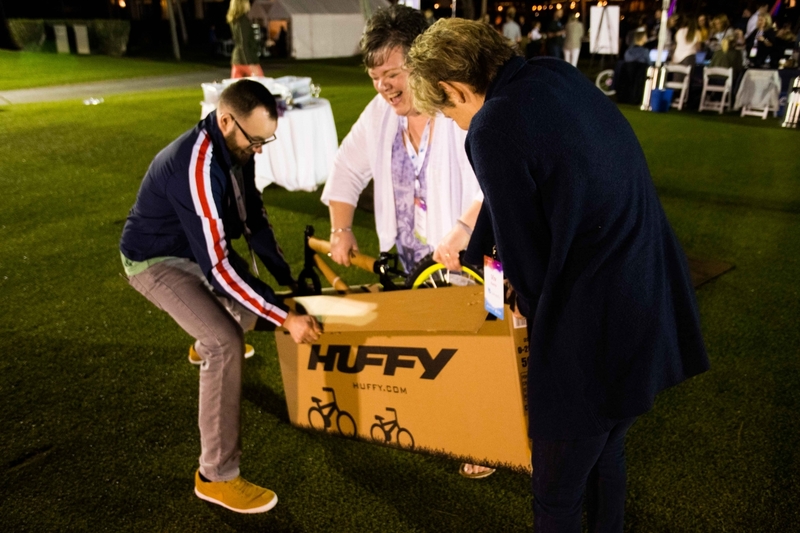 The event, organized by Benevity in partnership with Together We Rise, took place at the Omni Rancho Las Palmas Resort & Spa where the group transformed the fifth fairway of a golf course into an outdoor workshop. Participants included corporate responsibility leaders from companies such as USAA, Paypal, Accenture, Sage, Airbnb, RBC Royal Bank and many more who traveled from across Canada, the U.S. and U.K. The assembled bikes were picked up by representatives from Sheltering Palms Foster Family, a division of California Family Life Center, and are now being delivered to children in foster homes throughout the Palm Springs area. Benevity, Inc., a certified B Corporation, is the global leader in corporate social responsibility and employee engagement software, including online giving, matching, volunteering and community investment. Many of the world’s most iconic brands rely on Benevity’s award-winning cloud solutions to power corporate “Goodness” programs that attract, retain and engage today’s diverse workforce by connecting people to the causes that matter to them. With software that is available in 17 languages, to an employee base of 10 million users around the world, Benevity has processed nearly 3 billion dollars in donations and 15 million hours of volunteering time this year to almost 150,000 charities worldwide. Together We Rise is a 501(c)3 non-profit organization whose mission is to change the way children experience the foster system in America.